The Alpine U16 FIS Prep and U19 FIS group is a co-ed ski racing program for ages 14 to 19. It focuses on slalom and giant slalom ski racing skills with a lot of emphasis making strong craved turns. 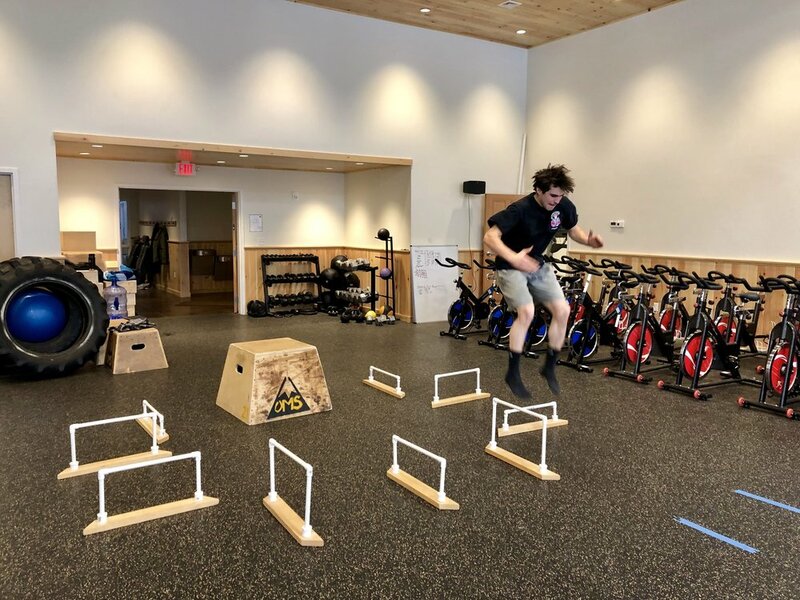 All mountain skiing, gate training, and competitions throughout Vermont offer a constant challenge for all participants. We welcome a wide range of ability levels but participants should be able to comfortably ski all trails at Okemo. This program is geared toward anyone from the first time racer to the full time athlete that has been racing all their life. Although competing is not mandatory we recommend participants try some racing because it is a great way to keep skiing challenge and exciting. We will continue to, from an organizational standpoint, have the Okemo Competition Center U16 and U19s will train and race together on the weekends. At Okemo Mountain School, the collaboration will occur whenever appropriate through the week and into the weekend, but with attention to the at times contrasting needs of the U16 and U19 USSA track athletes and those of the U19 FIS athletes and the U16 athletes who wish to make the commitment to preparing to race at a FIS level when they become U19s. We felt that collaboration of athletes and coaches increased opportunities for all athletes. We track and monitor the progress of each athlete, by having specific coaches assigned to specific athletes. Just as with last year while a particular coach will be responsible for a particular set of athletes, they will wind up working with all U16 and U19 athletes at some point. The program runs normally from the end of November (weather and trailspace permitting) into March (depending on conditions and schedules) on weekends and holidays. Participants must hold USSA and VARA licenses and join the OMARA program.